For the purpose of implementation of the provisions contained in Chapter 8 of the Law 8-90, Article 30 and following, the Services Agreement was formed to manage customs affairs for Free Zones Customs. 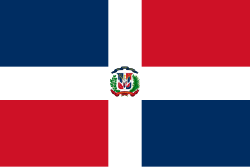 There is an Inter-Agency Commission, composed of representatives of the National Free Zones Council, Dominican Customs Direction and Free Zones Associations and private operators, according to Article 13 of Regulation No. 366-97, of August 29, 1997.